Health Tip: How Bad is Your Hearing Loss? THURSDAY, April 7, 2016 (HealthDay News) -- A new study confirms a common-sense notion: Earplugs can shield you from the temporary hearing loss that can happen after a high-decibel music concert. While getting young people wear earplugs at concerts may be a long shot, one expert said the threat to their hearing is real. With more people using MP3 players, "and the increasing loudness of movies, concerts and sporting events, physicians need to take a proactive role in the prevention of a potential hearing loss epidemic," said Dr. David Hiltzik, director of otolaryngology at Staten Island University Hospital in New York City. In fact, the study said, the number of American teens with hearing loss has jumped 31 percent since 1988, according to federal government data. One reason for that trend is increased exposure to loud music at venues such as concerts, festivals and nightclubs, the researchers said. Is there a way for kids to enjoy the music, but at safer, lower decibel levels? The new study included 51 people, average age 27, attending an outdoor music festival for 4.5 hours. Half were randomly selected to use earplugs. The average noise level during the festival was 100 decibels, which is known to pose a threat to hearing. 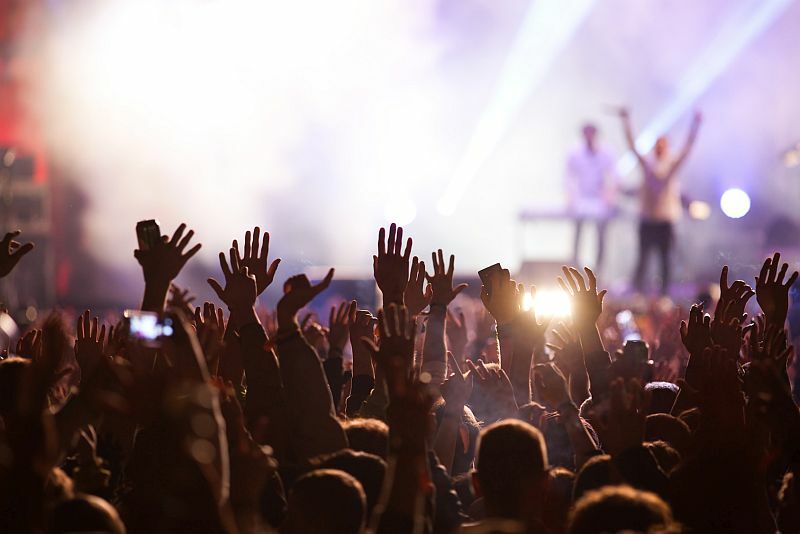 After the festival, temporary hearing loss was diagnosed in nearly half (42 percent) of those who did not wear earplugs, but only 8 percent of those who had used them. What's more, the rate of post-concert tinnitus (ringing in the ears) was 40 percent in those without earplugs, but just 12 percent in those who wore them. The findings add to "evidence that earplugs are effective in preventing temporary hearing loss during high recreational music levels. Therefore, the use of earplugs should be actively promoted and encouraged to avoid noise-induced hearing loss," wrote the research team led by Dr. Wilko Grolman of the University Medical Center Utrecht, in the Netherlands. Hiltzik said that as a doctor who "treats a growing number of younger patients with hearing loss, it is encouraging to have a study that objectively confirms the effectiveness of protective measures that I advocate to them on a daily basis." Dr. Darius Kohan is chief of otology at Lenox Hill Hospital and Manhattan Eye, Ear and Throat Hospital in New York City. He called the study "beautifully written and very pertinent to our current culture." He said it's long been clear that loud music can harm hearing, and it's not certain how long the damage can last. "With only a minimal effort to protect their hearing with inexpensive earplugs, the problem can be easily averted or at least markedly diminished," Kohan said. The study was published online April 7 in the journal JAMA Otolaryngology-Head & Neck Surgery.